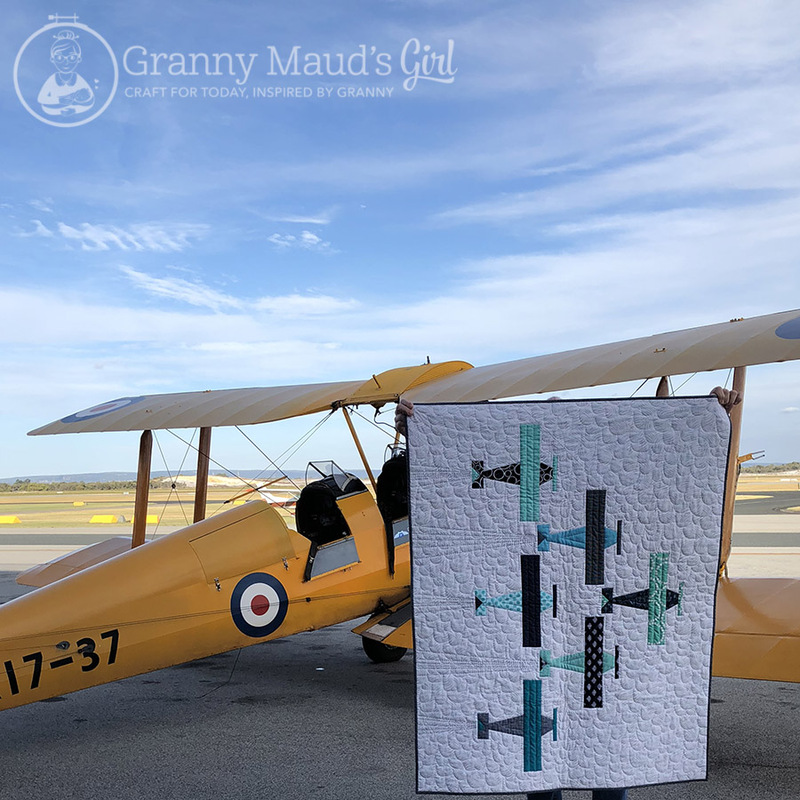 Finally, the aeroplane blocks I made for Little Island Quilting’s Soy Amado project are a baby quilt pattern that is ready for download. Hurrah! The brief was to make a quilt for boys. I could not find an aeroplane block that worked for me, so I drew my own, inspired by a number of traditional blocks I had seen. I particularly wanted a block with the aeroplane set diagonally. This is the 12-inch block. The blocks were a success, so I started to think about what else I could make with them. This baby quilt was the result. This is just one way to lay out these blocks. Sewing the blocks together creates a tight formation. Is this not the perfect backing fabric? I hand stitched smoke trails behind the aeroplanes for fun (after I checked with Quilting Jetgirl that they could not be condensation trails). I made this quilt in blue and aqua to coordinate with the backing fabric, Dear Stella’s On My Way Cloud Nine. So, what can I tell you about this quilt pattern? The quilt is machine pieced. The pattern uses a combination of easy templates and rotary cutting to create the shapes, and the blocks are sewn a little oversized and trimmed down, so you do not have to sweat about perfection and points. 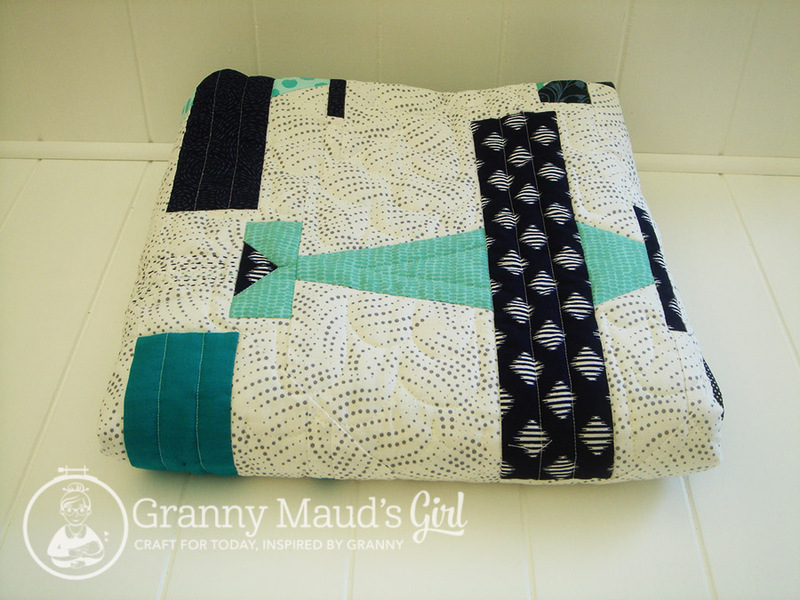 With only six 12-inch blocks to sew, it can be a relatively quick project. The finished size is approximately 104 × 130 centimetres / 41 × 51 inches. I have included two layout ideas. Little boys (and big boys) will love it. The layout I used is one of two in the pattern. 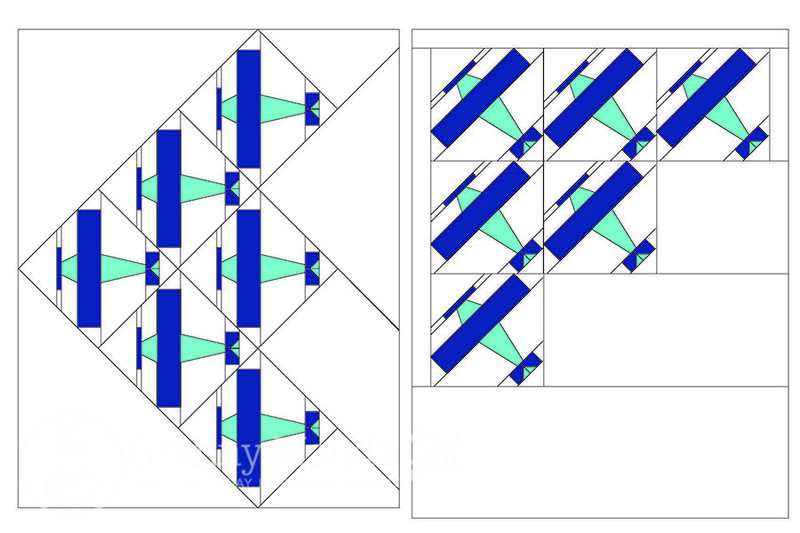 I have included two layouts in the pattern. I am looking forward to seeing what other layouts people create with the basic 12-inch block, which can be set square or on point. I have already finished a cushion and started a humidicrib quilt using the same block. The pattern’s name is a reference both to Star Wars and to the real air force pilots. My great-uncle was in the Fleet Air Arm (the flying section of the Royal Navy) in World War Two. I am only doing this pattern-writing lark on a small scale, and trying my hand has given me a lot more respect for others who write patterns. I have no delusions that this will become a real business; I am merely sharing the instructions for what I make and charging what I hope is a fair price so that others who are trying to do this professionally are not undercut. Saying that, I have had the help of a fabulous designer, Lindsie, and friends who have tested the patterns and been very, very frank in their feedback. (If you want honesty, ask a Dutch friend.) I hope all of our efforts make these instructions easy to follow. I took the quilt on a little trip to the airport. 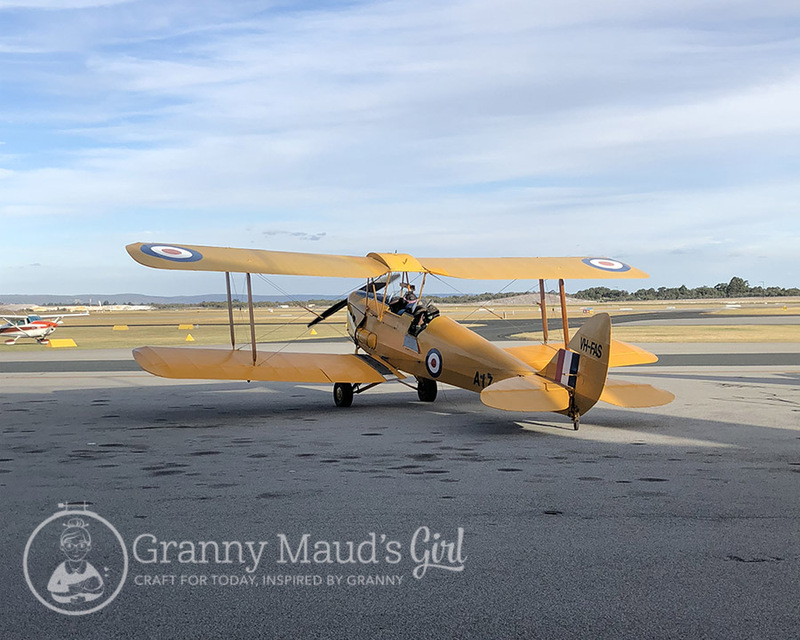 As luck would have it, my husband was given a joyflight on a vintage aeroplane, and I happened to have the quilt in the car that day! Yes, my husband is holding the quilt upside-down so the clouds look wrong, but that is a real de Havilland Tiger Moth in the background. How can you not love old aeroplanes like this? If you live in Perth, there are tentative plans for me to teach this as a class at Calico & Ivy in the near future. I used navy and aqua in my version. What colours would you use? Thank you; this is so great and I am eager to make this quilt for a newborn at our air base. However, I cannot find the download button. Would you help, please? The icons are in the sidebar, but here are the direct URL links to make it a bit easier for you. It’s gorgeous! I’d be strongly tempted to make the planes red and yellow, like the Tiger Moth, and have the background half green, half blue, as if the planes were crossing from flying over the land to the sea. What a great pattern for anyone really. This quilt would look so good on a kid’s bed or on their wall. Oh, I can see many possibilities for this pattern. Thanks for creating patterns. I like this very much. Congrats on your new pattern! Sharp looking cover with the bi-plane! The hand quilting detail is so nice! I really love this quilt. It’s so unique. Many and little (and big) boy would like this on their bed. It would be something special for grandmas to give their grandsons (like mine). I admire your creativeness and talent. Thanks you. You did a wonderful job designing this! Very nice! Fabrics and patterns with masculine flair are hard to come by. Photo ops with aircraft was a marvelous idea! Congratulations! Great photos. Good luck with the class. Gosh, I love this pattern! I hope you have great success with it Carla! 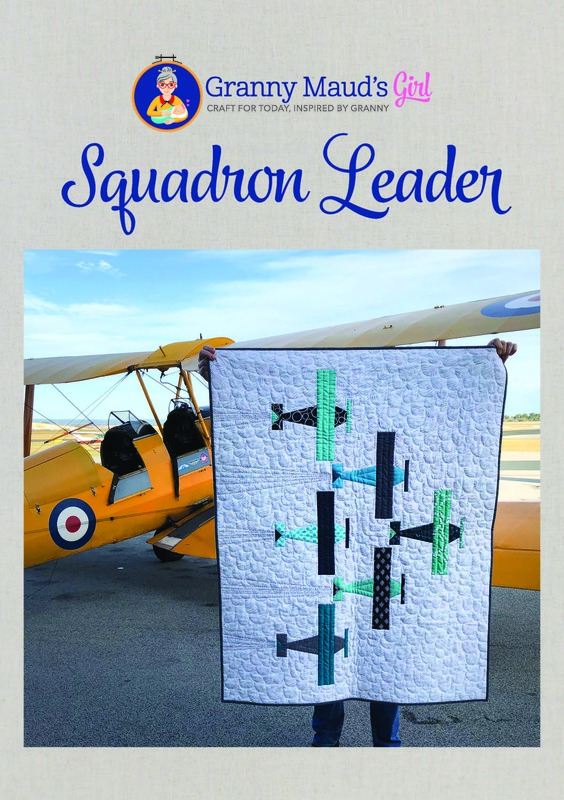 I think I’ll buy a copy in the hope that one day there will be a need for an aeroplane quilt in the life of a grandson or friend! I guess a red and black one would suit a Bombers fan! I have been watching as you put the finishing touches on this pattern. I just love it! If we draw my nephew’s name for Christmas this is what I will be making him! Both he and his daddy would love it. Congrats on the lovely pattern. This is absolutely adorable Carla! It’s definitely been added to my future baby quilts to make list! Neat pattern Carla! Congrats! Those pics are great too! This is delightful!! I think your idea to put the blocks on point is brilliant, as it does let them fly tightly in formation. I love all the details (smoke trails, hand-stitching) and it is such a charming pattern! 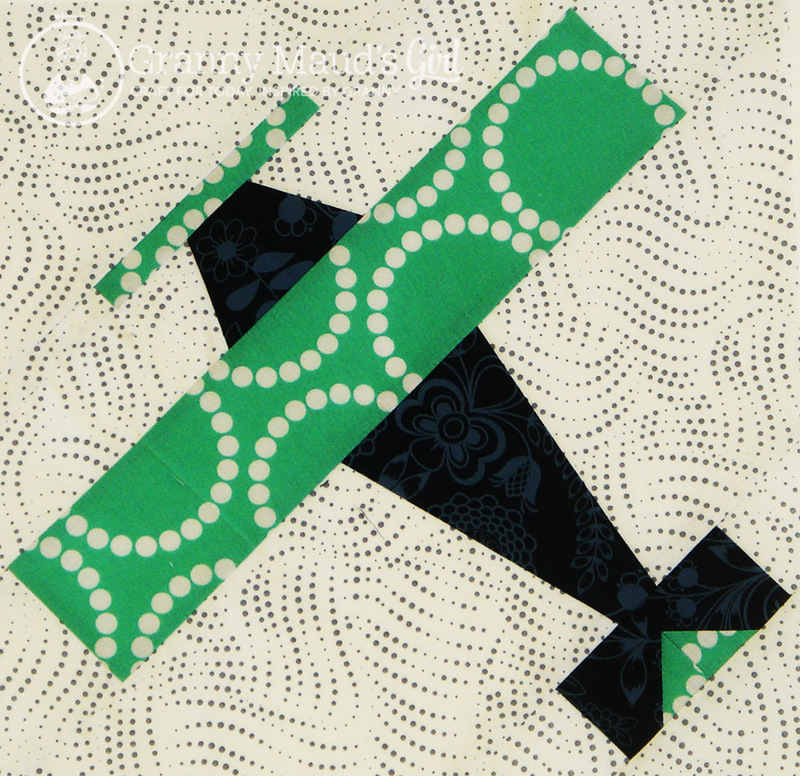 It reminds me of an airplane quilt I made for one of my grandsons for his arrival in this world–and I loved making all those planes for that quilt. He still loves it, eleven years later, as I know your recipient will too. I also love that you’ve written a pattern, and yes, they are a pain in the neck sometimes! Congrats! I have made this quilt and it is absolutely beautiful! I would like to upload a picture but don’t see a button for doing this. Just bought the pattern and can’t wait to make it for my grandson. Could you share the name of the background fabric you used? It was a Timeless Treasures fabric, wavy dots in silver (C5563). It is no longer a current range, but you might find some left over in smaller quilt shops.